Fresno State’s eight schools and colleges, along with the Division of Student Affairs and Enrollment Management, selected nine outstanding students to honor as Deans’ Graduate Medalists for the class of 2018. Each dean selected a graduate and undergraduate medalist based on academic excellence, community involvement and other achievements. 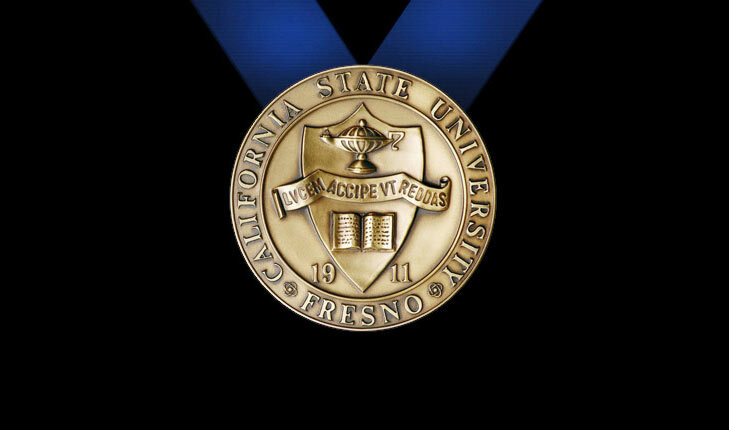 Fresno State’s 2018 Undergraduate Deans’ Medalists were announced May 7. At Fresno State’s 107th commencement on Saturday, May 19, one medalist from the group below will be announced as the University Graduate Medalist, Fresno State’s top academic honor for a graduate student. 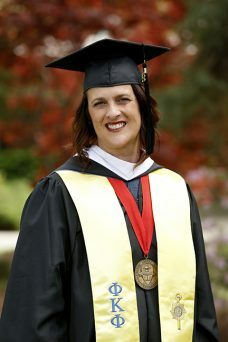 Jodi Benbrook, of Clovis, completed her executive master’s in business administration with a 4.0 GPA. 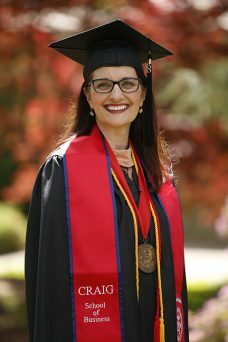 She previously earned her A.S. in nursing from Fresno City College in 2002 and her B.S. in nursing from Fresno State in 2005, attending classes and caring for her children while working full time on the night shift as a labor nurse at Clovis Community Medical Center. When her career progressed unexpectedly from the bedside to management, Benbrook decided to pursue an advanced degree. Now the director of women’s and children’s respiratory and rehabilitation services at Clovis Community, Benbrook says she discovered that in management she can make a difference on the way care is given on a broader scale throughout an entire department. She says, as a nurse in business school, classes were not easy, but they allowed her to see the hospital in a new way, balancing clinical quality with financial stewardship. Benbrook says she is determined to do good work with the degrees she has earned so she can make a positive difference in the community. Cheenou Her, of Fresno, completed his M.S. in chemistry with a 3.9 GPA. He previously earned his B.S. in chemistry from Fresno State in 2014. A first-generation college student, Her was born in a refugee camp in Thailand before his parents and six siblings moved to the United States after the “secret war” to escape persecution. Her’s favorite childhood memories include recreational activities, sports and the annual trips to Santa Cruz facilitated by the Pinedale Community Center. His junior year at Clovis West High School, Her took a chemistry course and enjoyed it so much he declared it his major at Fresno State. For his master’s thesis, he analyzed three-dimensional structures of antifreeze glycoproteins using high-resolution nuclear magnetic resonance spectroscopy – developing a new, more powerful way to analyze samples. He also contributed to three other research projects, including one on the effect of sucralose on enzyme kinetics that resulted in a patent pending. Her plans to pursue his Ph.D. in the fall, and to ultimately become a professor at a prestigious university. Christina Macias, of Ventura, completed her M.A. in early childhood education with a 4.0 GPA. She previously earned her B.S. in biology (ecology) from Fresno State in 2000 and her A.A. in liberal studies from Fresno City College in 1994. 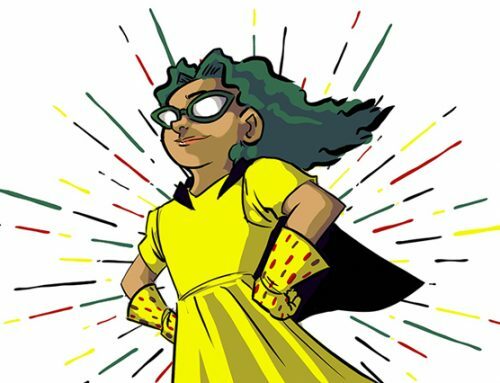 After earning her bachelor’s, Macias went on to work as a biologist for the state of California before creating a private preschool to provide responsive, relationship-based care to young children while leveraging her science background. In 2015, she enrolled in a master’s program at Fresno State, motivated to pursue a career in early childhood education and advocacy. She proposed a demonstration garden for the campus to be used as a science-based resource for P-12 students and teacher candidates, as well as a tool to battle food insecurity. The location is being finalized. Macias also participated in two research studies, including a math coherence project by Northwestern and Vanderbilt universities, and a Next Generation Educators Initiative to help design the CREATe Rubric. Next, she plans to pursue a Ph.D. at UC Davis. Savannah Nakamura, of Fresno, completed her M.A. in history with a 4.0 GPA. She previously earned her B.A. in art history and Italian studies at Long Beach State in 2011 and spent a year studying abroad in Florence, Italy. In 2013, she moved to South Korea to teach English to elementary-aged students and discovered a passion for teaching. She then entered Fresno State’s master’s program and focused her research on the Enlightenment concepts of politeness and improvement in 18th-century Britain through the lens of Eliza Haywood’s “The Female Spectator,” the first periodical written by a woman for a female audience. She also worked in the Henry Madden Library’s special collections, writing and editing articles highlighting the history of Fresno State’s amphitheater, Greek life and more. Her work was published in the Fresno State Alumni Association newsletter. 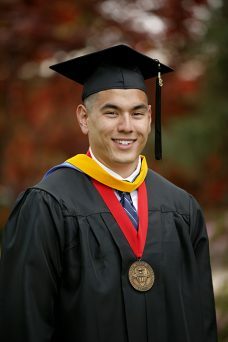 As a graduate, Nakamura plans to teach at the community college level and to possibly pursue another degree. Guadalupe Remigio Ortega, of Fresno, completed her M.A. in English (rhetoric and writing studies) with a 4.0 GPA. She previously earned her B.A. in English with a minor in philosophy from Fresno State in 2015. 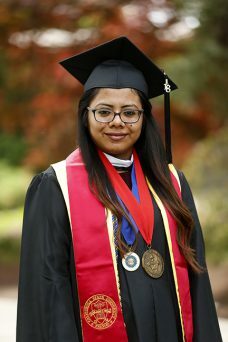 A first-generation college graduate, she grew up laboring in the fields alongside her parents — Mixtec native speakers from Oaxaca, Mexico. Remigio Ortega’s master’s thesis focused on implementing critical race methodologies in writing classrooms as a means of alleviating the marginalization of Latino/a students. The assignments she created as part of her research were added to Fresno State’s first-year writing program sourcebook to be used as a guide for teaching associates. She volunteered as a committee member for the Undergraduate Conference on Multiethnic Literatures of the Americas and served as a student representative for the Graduate Net Initiative to help make graduate education more attainable. 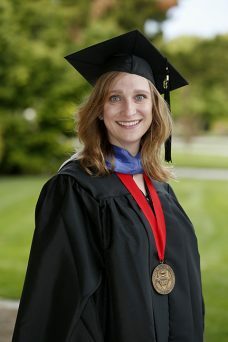 In September, she will pursue a Ph.D. in composition and rhetoric at the University of Wisconsin-Madison. Her goal is to become a college professor and work with graduate students to reach out to marginalized communities. Jeffrey Ruser, of Schaumburg, Illinois, completed his M.A. in kinesiology (sport psychology) with a 4.0 GPA. He previously earned his B.S. in psychology from the University of Illinois at Urbana-Champaign in 2016. Ruser surveyed nearly 600 NCAA student-athletes for his research on athlete burnout, coach-athlete relationships and gratitude. His work suggests strong coach-athlete relationships may increase athlete gratitude. His study earned him the Outstanding Thesis Award and the American Kinesiology Association Master’s Scholar Award from the Department of Kinesiology. Ruser’s service including serving as teaching associate for kinesiology activity courses and working with dozens of Wayfinders students who have intellectual disabilities. The sport psychology skills he teaches them, including goal setting and positive self-talk, are similar to skills he works on with college and high school athletes. 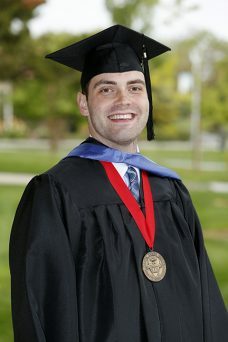 In the fall, Ruser will pursue a Ph.D. in counseling and sport psychology at Indiana University. His career goal is to serve as a director of sport psychology at a major university. Annemarie Schwanz, of Neuruppin, Germany, completed her M.S. in civil engineering with a 4.0 GPA. She previously earned her B.S. 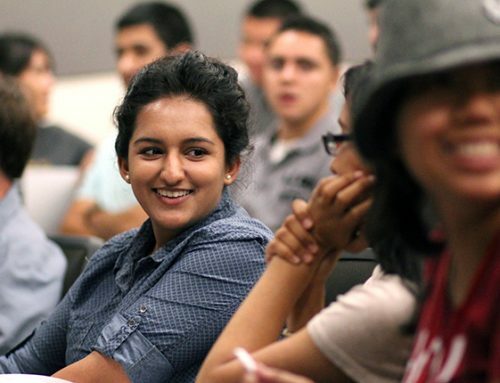 in civil engineering with a focus on water resources from Fresno State in 2016. Schwanz came to the United States in 2012 to compete in track and field and cross country at Fresno State. She was immediately challenged with learning a new language, culture and responsibilities, but excelled as she conducted research in transportation, including an award-winning intercity study to determine vehicle capacity and optimal headway through a queuing analysis. In 2016, Schwanz was named Fresno State’s Distinguished International Student and became a four-time Mountain West Scholar Athlete. 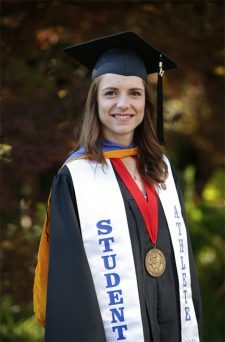 She was the first two-time NCAA Division I All-American distance runner in Fresno State history in the women’s 1,500 meters and ran the fourth-fastest time in the nation in 2016. She also received the 2017 Fresno State Female Bulldog of the Year award. Schwanz was a three-time Mountain West champion and seven-time all-conference selection. She holds eight track and field and cross country school records. Schwanz is currently an engineer at Provost and Pritchard Consulting Group in Fresno. 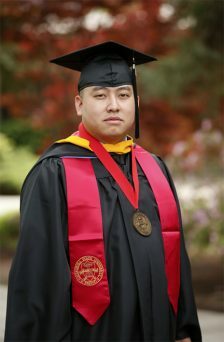 Leonard Serrato, of Los Banos, completed his M.S. in counseling (student affairs and college counseling) with a 4.0 GPA. He previously earned his B.A. in psychology from Fresno State in 2014 and his A.A. in psychology from Merced College in 2010. In third grade, Serrato was diagnosed with dyslexia but hasn’t let that stop him from excelling. Serrato says his greatest accomplishment is his graduate research project that, sadly, resulted from a tragedy in 2012 when his friend and fraternity brother died in an alcohol-related hazing incident at their fraternity house. Serrato has worked diligently since to educate Greek organizations and pledges on the definition of hazing and how to empower bystanders. He is passionate about helping the Greek experience to be positive and beneficial to the campus and community. 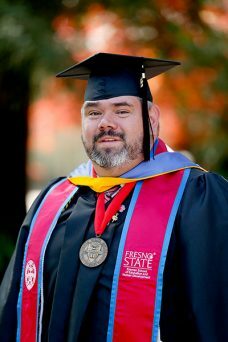 As a Greek life graduate assistant at Fresno State, he has re-written the New Member Education Program to include his research on hazing, Title IX training and alcohol awareness training. His goal is to become a Greek life adviser and professional speaker on hazing. Jacob Vazquez, of Cottonwood, completed his M.S. in agricultural science with a 4.0 GPA. He previously earned his B.S. in agricultural business from Fresno State in 2016 and studied at Butte College before that, never earning less than an A. Vazquez transferred to Fresno State and earned a starting position on the offensive line for the football team. In 2016, he was named a Division I Academic All-American and was a semifinalist for the William V. Campbell Trophy, known as the “Academic Heisman.” Vazquez served as mentor for the Big Heroes Little Heroes program, worked with Valley Children’s Hospital and served as a youth group leader at his church. As a Jordan College Multicultural Scholar, he visited rural schools and led farm tours to motivate students to attend college and pursue careers in agriculture. His master’s project, “The Scholar’s Playbook,” is a research-backed booklet created to help students navigate their first years in college. He plans to provide the booklet free of charge to the Jordan College and Fresno State athletics. Vazquez plans to pursue a career in agribusiness or a professor position at a community college and eventually earn a Ph.D. or Ed.D. degree.